A beautifully balanced cleanser carefully formulated for sensitive skin to gently remove surface impurities without stripping skin of its crucial natural oils. Formulated with intensely calming and hydrating ingredients to deeply moisturise, expertly appease inflammation and prevent future irritation. This wonderfully mild cleanser is safe, soothing and effective for even the most delicate of skins, including those with rosacea, psoriasis and eczema. Skin is left soft, serene and ready to receive the full benefits of our other phases of treatment. • Non-drying creamy cleanser leaves skin smooth, clean and supple. 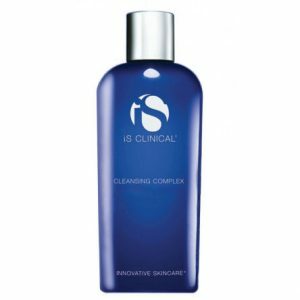 • Extraordinarily gentle formulation is free of any known irritants and maintains sensitive skin’s delicate balance. • Provides long-term soothing, while moisturising, softening and helping to prevent dehydration with an innovative complex derived from Sugar Cane and Maize. • Eases inflammation and helps fend off future irritation with Chamomile and Aloe Vera. • Vitamin B5 and Willow Herb further help to relieve redness and discomfort. • Superbly soothing for dry, mature or sensitive skin, including those with rosacea, psoriasis and eczema. 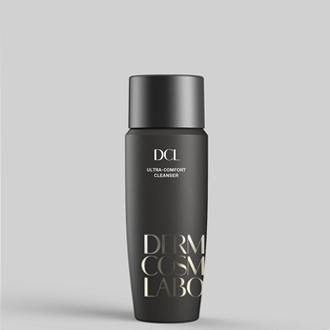 DCL Ultra Comfort Cleanser – A beautifully balanced cleanser carefully formulated for sensitive skin to gently remove surface impurities without stripping skin of its crucial natural oils. Formulated with intensely calming and hydrating ingredients to deeply moisturise, expertly appease inflammation and prevent future irritation. Apply to damp face and neck. Massage gently with fingertips using circular motions. Rinse lovingly with warm water or tissue off.